The Old London range of classic concealed and exposed thermostatic shower valves brings substantial timeless elegance to the modern bathroom. This Concealed Thermostatic Twin Shower Valve offers thermostatic showering via two easy-to-operate controls. 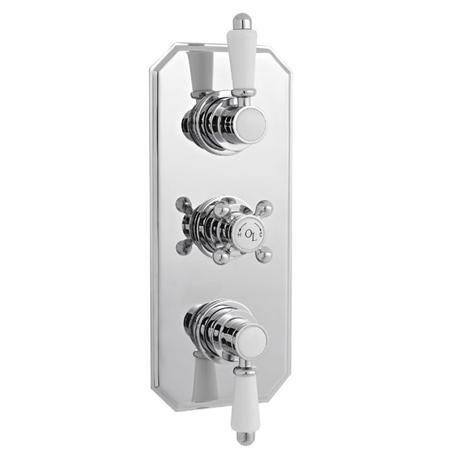 Suitable for all types of plumbing installation this shower valve has separate controls for temperature and flow. Operates two shower accessories separately or simultaneously - fixed head & slide rail kit, fixed head & body jets or slide rail kit & body jets.